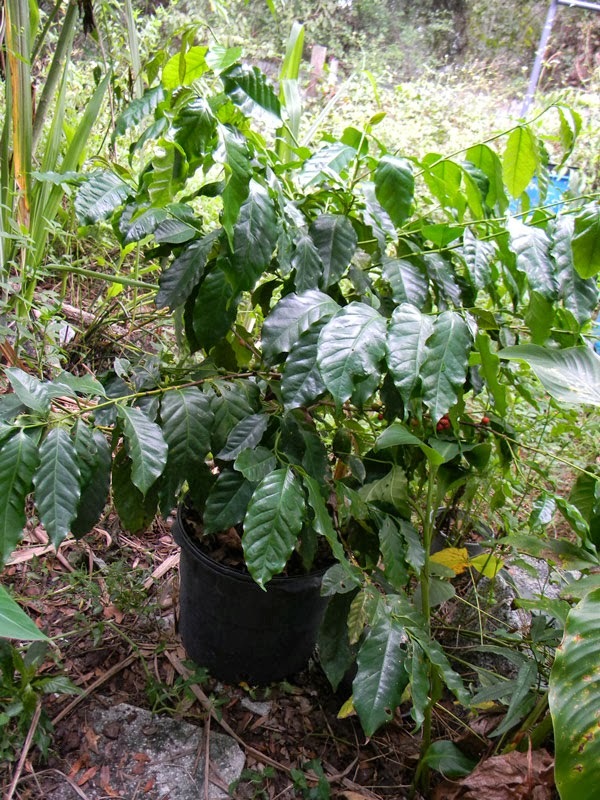 Florida Survival Gardening: Homegrown coffee! That's a coffee plant in a pot. In most of Florida, it's too cold to grow coffee outside. Fortunately (as I've written before), you can grow them indoors if the weather is really lousy in winter. And hey - look at that! 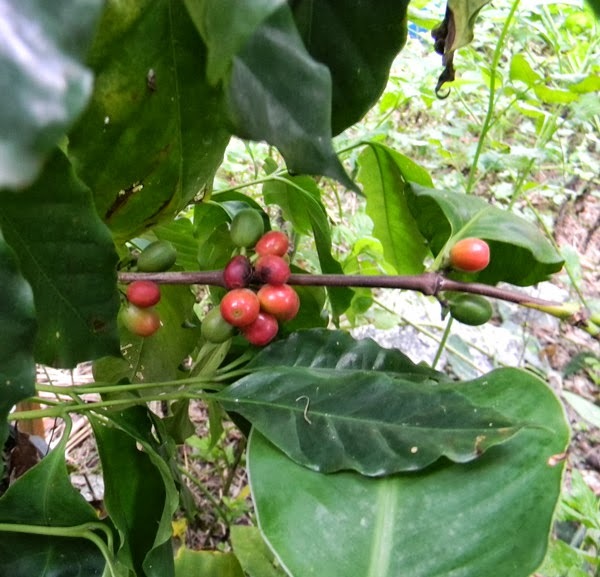 My coffee plant has ripe cherries on it! The fruits have a pleasant flavor that's hard to describe. I'm not going to roast the beans, though, since I want them to plant. I'd rather have 30 new coffee plants than a single cup of coffee. Seems like a good trade. I would love to buy coffee directly from a source. I've had a few friends act as middle men between the growers and consumers, but eventually failed due to marketing and financing legalities. Keep me posted! Yeah - I know exactly what you mean. Dealing with import/export is a royal pain, especially since the great coffee producing nations aren't exactly first world. Once you get them out, then you also have to deal with the Agricultural police on this side. They're generally nice, but the laws are really tight and don't favor the little guys. BTW, a dream of mine is to plant a mini-coffee plantation somewhere in south Florida. If I do it, I'll let you know. I already have a place in mind. I like what you are up to. What coffee variety is that? Arabica?